Amid a climate of austerity on the McGill University campus, new revelations about the pension that former Principal Heather Munroe-Blum recently started collecting has rankled many union groups. Access to Information documents show that Munroe-Blum, who retired from her position as principal in 2013 and is no longer teaching at McGill, is entitled to a supplementary pension of almost $284,000 a year on top of the almost $87,000 she gets from regular pension plans from McGill and the University of Toronto. 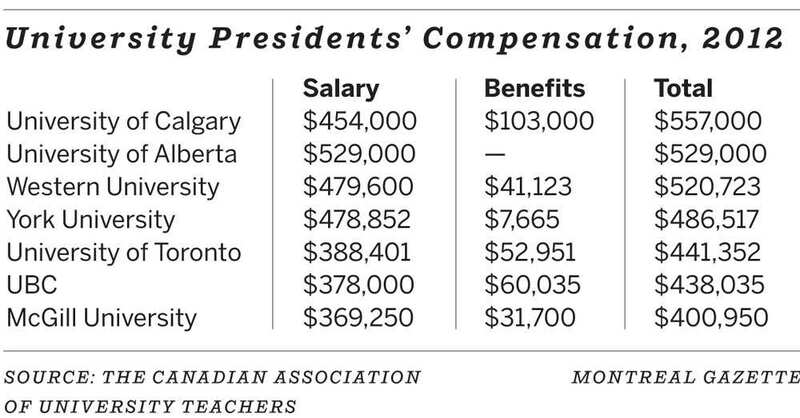 The information also suggests that Munroe-Blum may have been earning much more than has been documented, perhaps as high as $740,000 — which would make it the richest package of any university president in Canada, then or now. That’s based on the fact that her supplementary pension entitlement should represent about 50 per cent of her highest average earnings. However, Olivier Marcil, vice-principal of communications and external relations for McGill, said in an email that her salary was $369,000 plus benefits as previously reported, but that “adjustments were made to her pension calculation during that time which resulted in the ($284,000 pension payment) amount” (click on image below). 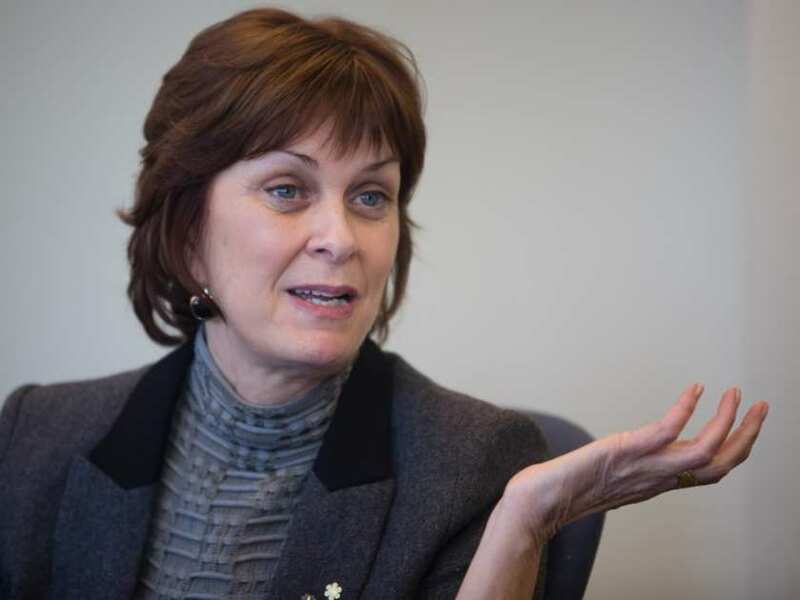 Munroe-Blum’s salary and benefits were often a sore point on campus, especially after it was revealed she was collecting a base salary of $369,000 as Quebec universities were being asked to absorb $124 million in cuts. There were also “contract benefits” of $128,000 to $226,000 a year. The combined pensions, which she just started collecting on July 1, are bringing her almost $371,000 a year — which is as much as she was allegedly earning during her tenure as principal. Her supplementary pension alone — which was negotiated as part of her 2003 contract confirming her appointment as principal and vice-chancellor — has already paid her more than $96,000 since July 1. He says the fact that her regular pensions from U of T and McGill are $86,850 combined shows “just how good this extra pension plan is,” with Munroe-Blum collecting an additional $284,000 a year for the rest of her life. It also raises some important questions: Why is Munroe-Blum being credited with years of service at both McGill and U of T for the purpose of calculating her supplemental pension from McGill? With 12 1/2 years of service at U of T, prior to joining McGill, this effectively doubles her pension entitlement and enables her to collect for all of that time at the higher principal’s salary rather than having some of it at the lower professor’s or vice-president’s salary she would have earned at U of T.
Why did McGill agree to such a lucrative pension package for Munroe-Blum? When she left the principal’s post in 2013, Stuart Cobbett, chair of McGill’s board of governors, defended her departure package in an op-ed in the Montreal Gazette, saying the university had great results to show from her leadership. But Cory said Munroe-Blum’s pension package makes him wonder how many other former principals are collecting equally lucrative pensions, and how McGill — which has been crying about austerity and cutbacks — can sustain such long-term payments. Molly Swain, president of McGill’s support employees union, said the revelations about Munroe-Blum’s pension package comes as McGill claims to have no money and is constantly instituting belt-tightening measures. “That makes this tough to swallow,” she said, adding her union is representing students who were remunerated with only room and board for overseeing first-year students in residence and have been fighting to get what they believe is their rightful monetary compensation. She said it also points to a culture at McGill, and other universities, of there being no accountability and quietly providing income and benefits that go well beyond the base salary of their top administrators. However, that is something that seems to be changing. 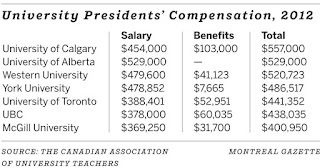 McGill’s current principal, Suzanne Fortier, made public her contract and the details of her compensation ($390,000 and not a lot of other perks), as did Alan Shepard, the president of Concordia University. The Université de Montréal has had a policy in place since 2009 that determines salaries based on the median of rectors and presidents of Canadian universities. Still, Swain said, Munroe-Blum’s deal is concerning for employees. “The university is maintaining austerity for a certain group of people — but not for people at the top,” she said. Earlier this week, I discussed how some people retire in EU style. 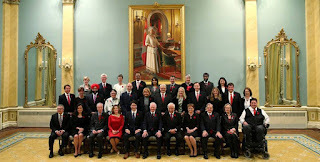 And let there be no doubt that Dr. Heather Munroe-Blum who was appointed chairperson of the board of directors of the Canada Pension Plan Investment Board in June 2014 is enjoying a retirement package that most Canadians can only dream of (add to this $160,000 a year compensation she gets for being CPPIB's chair). The dispute here is whether her McGill pension was padded by including her years of experience at University of Toronto at a time when she was putting the squeeze on McGill employees' pensions. She obviously signed a contract where she wisely negotiated her pension as part of her overall compensation (this is what all of Canada's highly paid senior pension fund managers do for their own compensation as well as what Canadian and American corporate CEOs do when negotiating their outrageous pensions). Of course, it's no secret that there's no love lost between McGill employees and Heather Munroe-Blum. My departed friend, Sam Noumoff, used to criticize her when we would get together for the Men's club at Alep restaurant to enjoy Montreal's best Syrian & Armenian cuisine. "She's a ruthless corporate b*tch," Sam used to say and his sentiment was shared by other professors at the table (most of which are cynical ex Marxists like he was). I never met Dr. Munroe-Blum so I won't criticize her on a personal level or question the way she handled McGill's finances back then. She has an impressive career but she obviously pissed off many employees with her cost cutting decisions (some of which were needed) and her reportedly confrontational style didn't help either. But to be fair, it's the nature of the job and I don't know many university or hospital administrators who are loved during a period where they're implementing severe budget cutbacks. Why will universities with these defined-benefit plans be 'exempted' from more stringent tests for pension solvency that apply to businesses? I have friends who are professors and others who work at various universities, including McGill, and they're not to happy with the way their DB plans have been mismanaged (McGill got sucked into the non-bank asset backed commercial paper --ABCP -- scandal that rocked the Caisse and other large Canadian pension funds). The problem at Canadian universities and other universities is that they hide their pension problems from public scrutiny. Why? Because they're petrified if the public finds out, it will impact their fundraising as well as their constant cries to increase tuition fees. Now, I happen to think you can make a case for raising tuition fees marginally, especially here in Quebec where students enjoy the lowest tuition fees in Canada and are asking for "free tuition like in Denmark" (without understanding how the Danish system works). But when I see how Canadian universities are mismanaged -- not just their pensions but general mismanagement in their operations -- makes me think twice about raising tuition fees. True, universities are not corporations and shouldn't be run like corporations. But why should we give their defined-benefit plans less stringent tests for solvency? Who is monitoring their performance and why isn't this information easily accessible to the public and updated on a regular basis? I can say the same thing about Canadian cities and municipalities, the other pension time bomb which is rarely discussed. Most people haven't got a clue of what the hell is going on at these city plans. This is why I think we should consolidate all defined-benefit pension plans -- private and public -- into larger public DB plans which are operating under more scrutiny and are more transparent and accountable for the decisions they take (not perfect but better than most smaller plans). If it were up to me, I would either roll up all university pensions to be managed by our large well governed provincial plans or have CAAT pension plan manage all Canadian university pensions since that's what they specialize in and are doing a great job at it (see CAAT's 2014 Annual Report here). Of course, in my ideal world, every Canadian would have their pension managed by CPPIB or several CPPIBs by enhancing the CPP. I've discussed my thoughts on this when I went over introducing real change to Canada's pension plan as well as when I went over breaking Ontario's pension logjam. CPPIB is performing very well given the difficult investment environment. I don't pay attention to quarterly results and don't see trouble at Canada's biggest pensions. I'm sure Heather Munroe-Blum has a handful being the chairperson of this mega fund but she's doing a great job and has a very experienced board of directors backing her up as well as a very experienced and competent senior management team delivering outstanding long-term results. 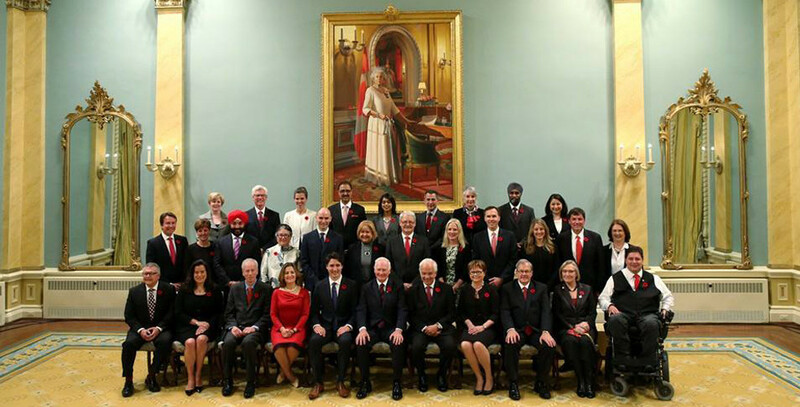 Nevertheless, critics claim Trudeau’s diverse cabinet is not a true Canadian portrait without referring to the fact that he nominated two ministers with disabilities, two aboriginal ministers, and Canada's first Muslim minister (you'll never please everyone; see clip below).